London, UK – October 31, 2017 -WinMagic, the award-winning encryption and intelligent key management security solution provider, has today announced that industry veteran Luke Brown has joined the company in the role of Vice President for EMEA. He has over 20 years’ experience of building highly successful sales and customer support operations, in both new and mature markets, and has held senior leadership roles at both start-ups and listed companies. Luke joins with responsibility to continue and accelerate WinMagic’s growth in EMEA, at a time when the company is seeing unprecedented interest in its solutions. He will oversee the strategic direction for sales and go to market throughout the region, as well as operational performance to ensure the best experience for customers and partners. 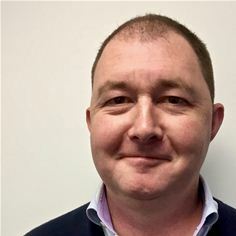 Most recently at Digital Guardian, Luke overhauled the operations side of the business, built and delivered its channel strategy and international expansion plans. In previous roles Luke’s track record for growth is formidable. At AccessData he grew revenues in international markets outside the US to £40m. At eEye Digital Security, as VP of international operations, he oversaw revenue growth in two years of 500%.